Canyon Vista 6x12x6 Corner Ledger Panel. To be used with our Canyon Vista 6x24 for the corners. 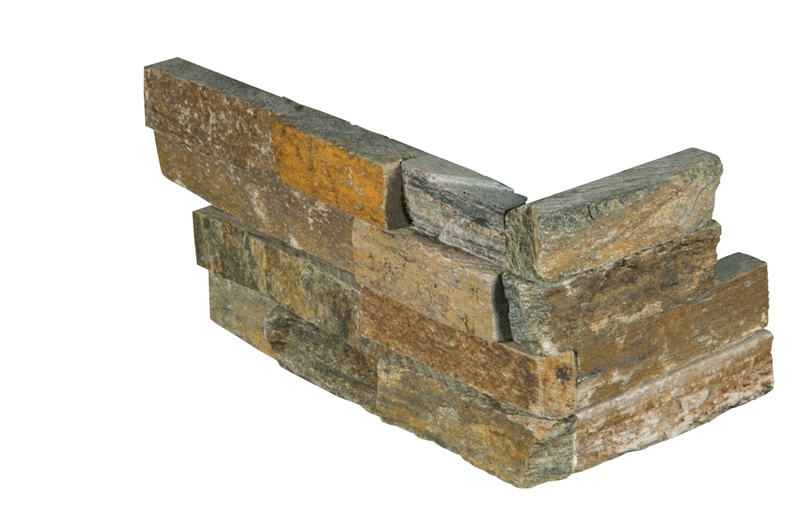 Canyon Creek Stacked Stone panels are crafted from natural split face quartzite. The warm golds and cool grays blend together in harmony. Use these beautiful natural stacked stone panels for design projects including shower surrounds, backsplashes, fireplaces, and for a wide array of exterior design projects including cladding of buildings, supports, and dividing walls. Matching corners are available to finish off projects.